When you are looking to choose between the many high-security door locks on the market, it pays to know which brands are worth considering. There may be stand out products from otherwise low-quality companies, but if you want to sure that you are getting worthwhile protection from your locks, there are some things you need to know. Most people don’t care about security, but if you are not among the majority, it is time to look into everything you need for the best high-security door locks. When you are looking at the variety of products that claim to be high-security door locks, it is important to be able to know the difference in protection between them all. This is more complicated than choosing the best lock at home depot. You will be looking at high-security locks and trying to figure out which has the characteristics you cannot live without. When you are looking at the complexity of a door lock cylinder, you are trying to figure out how difficult it would be for a criminal to understand. The more difficult the internal makeup of the lock, the less chance you have of a criminal being able to make a bump key type device, impression the lock, or even pick it open. All locks can be picked, but you do not want anyone who tries to be able to successfully open your lock. The more complex the lock cylinder is, the fewer people will even try to overcome your security covertly or surreptitiously. If you are looking for something that is strictly a keypad door lock, you will not need to worry about the lock cylinder of your high-security door locks. How hardy a lock is, relies heavily on the amount of metal it uses in its composition. Because a part of the door needs to be removed so that the door lock can installed. This requires holes to be bored and cross-bored, leaving the door vulnerable around the lock hardware. There are products detailed in the best ways to secure a door that can add metal content, but you most likely want high-security door locks that come with some basic level of protection. You can often tell the metal content of a lock by holding it in your hand. A heavy lock is a lock that does not use wide gaps or plastic components to reduce cost. When a company makes a lock with empty space or with components molded out of plastic, this ultimately costs you security. High-security door locks should have strong and heavy metal. And they should use a lot of it. Besides the metal content of the lock, you also need the bolt of your deadbolt to be able to withstand as much force as possible. High-security door locks will have hardened steel bolts that withstand bludgeoning attacks (kicks, battering rams, sledge hammers, shoulder strikes, etc.) used against the door. Without strength, these attacks would bend or snap a bolt severely enough that it fails. High-security door locks with strong bolts will also be resistant to cutting attacks. Criminals will not be able to use a hacksaw or reciprocating saw to damage the bolt enough to open the door. This is a less common attack than bludgeoning, but if it is a risk you are concerned about, your bolt should be cut resistant. Unlike a locksmith, who only drill locks out of necessity, many unscrupulous characters learn how to drill locks open because it is fast, and seems to work universally. But a criminal who encounters high-security door locks with anti-drill precautions will find their tried and true method of entry does not get them past these locks. There are two main points that you want your high-security door locks to protect from drills. These are the set screws and the shear line. Both of these areas can be protected with hardened steel ball-bearings. Sometimes there will be anti-drill plates that rotate to protect from someone drilling the shear line, but these are the points that need to be addressed. You do not want anyone with limited access to your property to be able to copy a key without your knowledge. The best you can do is invest in high-security door locks that have patented keyways. This makes the access to key blanks much more restricted. Of course, you will still need to know the proper way to hide your spare keys, so that you do not lose control of your keys. But besides that, there are ways around getting patented key blanks, and ways to cut them without the authorization of the lock’s owner. What you have to understand is that you will be significantly more protected against this type of risk. Even some of the best high-security door locks can be bypassed with certain additions to the locks. And seemingly high-security locks can have bypasses discovered and end up only providing the illusion of security. A great example of this is the thumbturn bypass for certain high-security euro cylinder locks. Bypasses are not the same picking or bumping a lock. They are simpler methods of entry, and they bypass the lock cylinder’s complexity in favor of exploiting some other type of weakness. Be sure to look up if the high-security lock you are considering has a bypass. Some older products from even the best brands have exploits that have been solved by newer iterations. Other brands have introduced weaknesses by updating the lock and creating an issue while only trying to hold onto a patent. In the security field, you get what you pay for. Higher costs are what lead to more secure locks. With certain brands, you are paying more for the name than for the manufacturing factors that necessitate higher costs. Certain locks have prices that are only associated with one aspect of high-security and will use lock cylinders from lower quality companies to offset certain material costs. Look at the specs of your lock to find out what you are really paying for. The two biggest factors for higher prices are the metal content (how much is used and what type of metal it is) and the complexity of the lock core. When a security brand has a product with a high cost and none, or less, high-security traits than another similarly priced product, this is a good indication that it is not worth the advertised cost. If you are not planning to install the lock itself, you have to factor in the cost of changing locks. In this section, I just want to highlight some of the best brands to purchase from when you are looking for high-security door locks. These are certainly not all of the manufacturers that make high-security door locks, but they do provide the top quality contenders for best door locks. These are not simply the most trusted door lock brands, they might not have a reputation that most people know about. But when it comes to security, these companies are above the rest. Steer clear of the brands that security experts universally detest, and get something that can actually considered to be among the best high-security door locks. Abloy makes the finest disk detainer locks on the market today. They make some of the best lock products and their Protec2 model still remains unpicked. The physical strength of their locks is pretty universal among the highest level available. With hardened steel and solid construction for their high-security door locks, they are going to also be protected against drilling, prying, and cutting. Though Assa Abloy is the parent company of many of the prominent lock brands, their Abloy imprint is one of the best for high-security locks. A very popular company for high-security door locks is the Mul-T-Lock brand. They are innovative in their pin tumbler designs and sidebar systems, while also excelling in the structural security of their locks. Their high-security locks take into account their most vulnerable drill points and go beyond the call of duty for the cutting and prying resistance of their bolts. With something like the Mul-T-Lock Hercular, you are going to receive some the highest security possible in a lock. 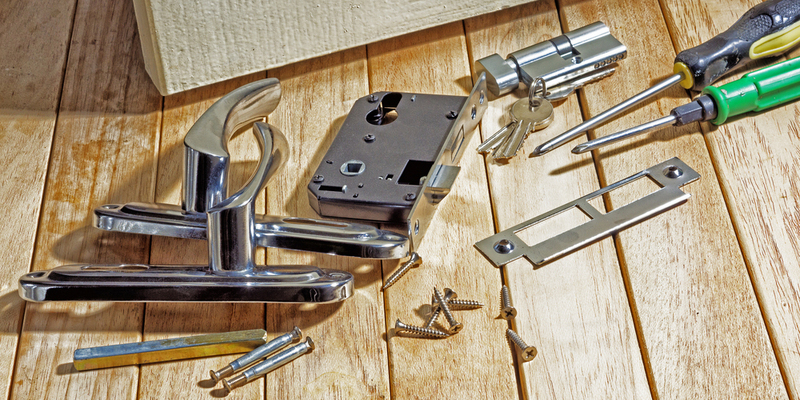 The EVVA lock company specializes in creating a vast array of high-security door locks. They vary in quality, but as a general rule, EVVA produces better high-security locks than most other companies. They excel most with the internal complexity of their locks and use innovative and unexpected methods within their lock cylinders. One of their best high-security locks is the MCS model, which is more popular in its euro cylinder model than its rim cylinder equivalent. This lock is one of the few high-security locks that makes use of magnetic locking components. These locks are less about physical attack resistance and made more with internal security in mind. They are not physically insecure, but that is not the point they excel at. A very solid brand for high-security locks is Medeco. You will often see at least their lock cylinders being used along with the common types of commercial door locks. If you are looking for a Medeco deadbolt, a Medeco mortise cylinder, or what have you, they have quite the selection. The glory of Medeco is that they are relatively accessible to purchase and offer a good base level of protection. It is not the best internal complexity or the strongest physical construction, but in terms of price, they are more affordable and do offer significantly better protection as a lock brand with their overall catalog of products. This company has had some issues in the past, but they have listened to the experts and improved their new products. The BiLock deadbolt is consistently featured among the top of most people’s list of high-security products. The reason that BiLock is such a good high-security lock brand is because it uses the same key system throughout its products. It is a high-security cylinder that will not be easy for most pickers to overcome. When you choose a BiLock for your door, you are getting a unique key that very few people will be able to duplicate. You also get a keyway that many will not be able to interact with, as it uses a sidebar system and not simply two sets of pin tumblers. Metal content will vary, but you can rely on a quality lock core. Considerations for residential doors and commercial doors differ rather greatly. You need locks that fit with your existing door (ex: euro cylinder locks will need a differently prepared door than a door prepared for a mortise lock). You should complete a risk assessment to find what aspects of a high-security lock that you should focus on most. High-security door locks are deadbolts. If you are relying on keyed door knobs, you are using the wrong locks. There are ways to increase the security of your existing locks, and depending on your circumstances you might be able to rekey your locks instead of replacing them. In the case of apartment security, you need to check what you are allowed to change about the previously installed security. There is no one best lock brand or one best high-security lock. There are only things that you should think about to find the best lock for your needs. Your lock is not where all of your security comes from. 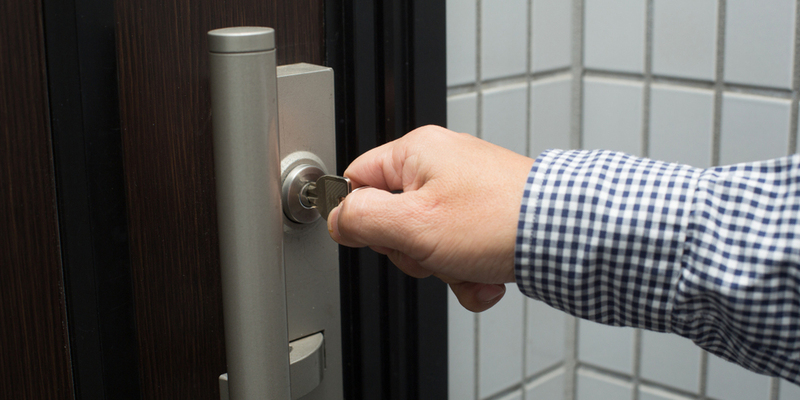 You still need to worry about perimeter security and the security of your door overall. But with this information, all you need to do is ask yourself what matters most to you in a lock, and then install the best high-security door locks for you.